Looking at this list, I’m a bit taken aback at how old these machines are. Every machine is at least 5 years old and my most powerful Mac is 8 years old. The reason for my surprise is that I don’t feel as if any them are particularly slow or in need of a replacement. 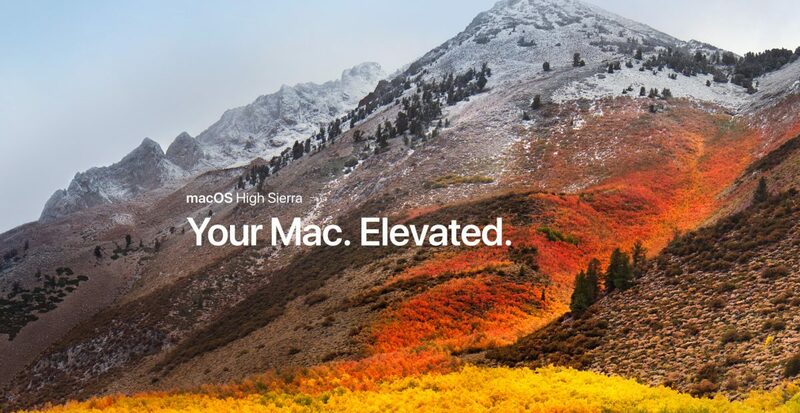 I use to always go for a “scorched earth” approach and wipe out the hard drive before installing a new version of macOS; however; over the past two years, I’ve simply done the standard upgrade and it’s worked out fine. Granted, I do make sure that I have a complete backup for each machine in Time Machine, CrashPlan and a SuperDuper clone. My first machine I decided upgraded was the laptop since it’s the least critical on my list. I checked online to see what apps didn’t work out-of-the-gate and not seeing any “deal breakers” I went for it. Using the thumb drive made the process easy and didn’t run into any errors although it did take some time because one of the components of this upgrade is a new file system to the Apple File System (AFPS) from HPS+. What took even MORE time was the fact that Spotlight had to re-index the entire file system which made using the computer after the upgrade very, very slow. I would recommend installing the new macOS at the end of the day so that it can index while you’re not using it. The upgrade to my laptop was un-eventful, so the next weekend I upgraded my work machine and next weekend I plan to upgrade my home machine. Unless there’s a specific application that is known not to work, I see no reason not to upgrade to macOS High Sierra. I’ve had no issues over the past-two weeks. The new OS seems solid and a bit more refined but nothing earth shattering. If anything, it’s been good to take stock of the apps I’m using (more on that in another post) and re-evaluate my workflows and how I use my machines.